I have also used a new emulsifying system: this time I used a mix of Methyl Glucose Distearate and Methyl Glucose Sesquistearate. I liked this combination! 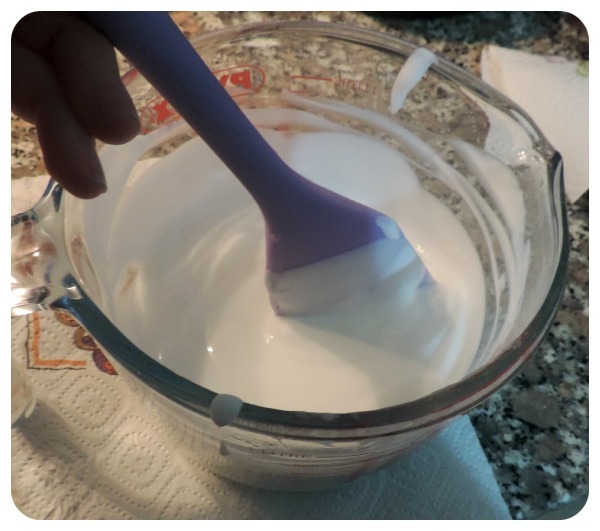 It gives a less “heavy” cream (in the sense of “waxy”) and a better comfort when applied. 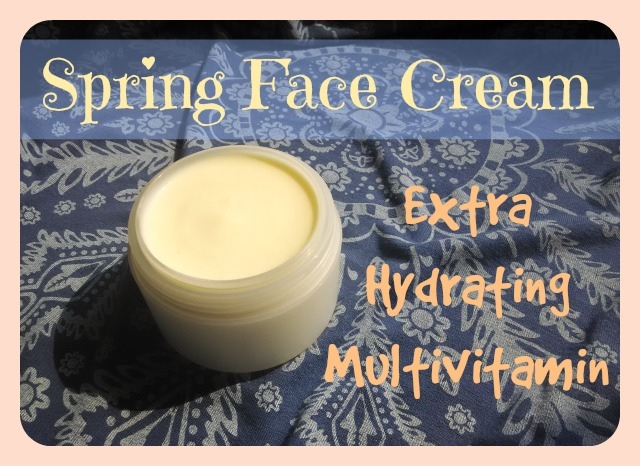 About the active ingredients… I think I have added all I could add in a cream that was supposed to be very (VERY 😀 ) hydrating and energizing: sodium lactate, sodium hyaluronate, D-panthenol and multivitaminic nanosomes. Water to 100 – here what this means. Sodium Lactate (solution at 60%) 5 – usually you find sodium lactate in 60% solution. Multivit Nanosomes 2 – this is a commercial “active ingredient” you can purchase as it is. It contains vitamin C, A and E incapsulated in nanosomes. Preservative – goes at the specific concentration of the preservative you own. Q10 – 0.1 – I was using the pure powder. If you have other forms of Q10, you might have to add a much higher amount than 0.1 so check the data sheet of your product. 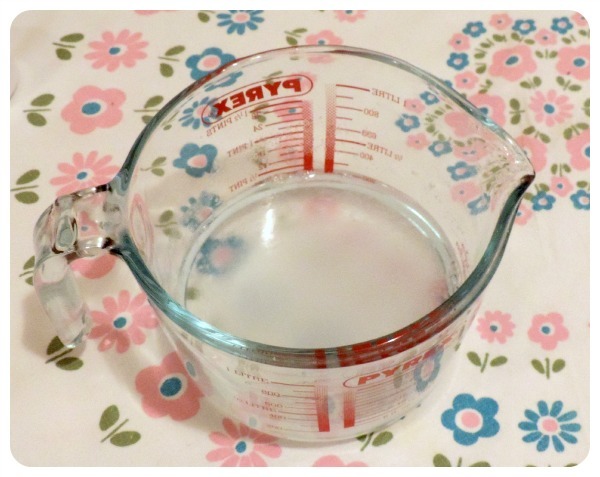 1) As always we measure the glycerin and the xanthan gum. Mix them together and add water little by little. Let the gel form. 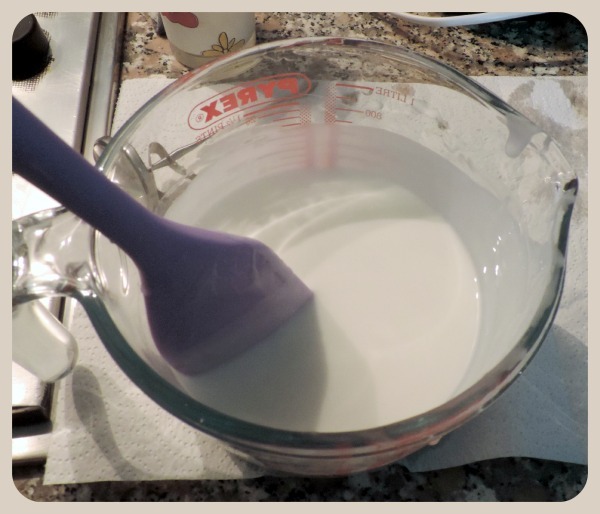 To improve the consistency of the gel, you could use an immersion mixer to “open” the xanthan gum. It works very well, however pay attention at not adding any air to the gel or it will remain in the final product in the form of micro-bubbles. 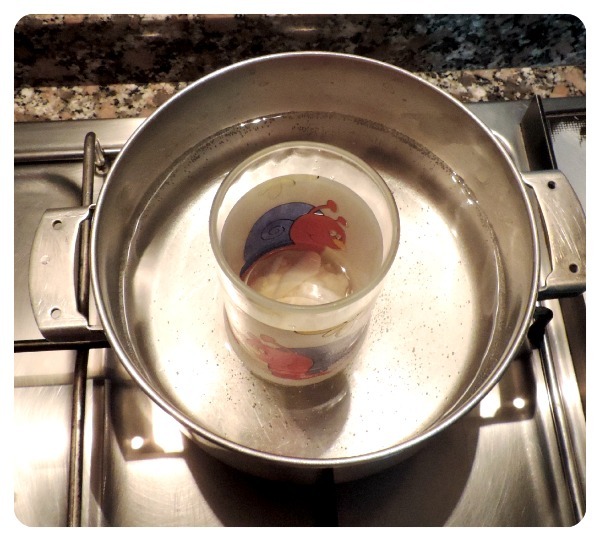 2) Measure the phase B and heat it up to 70°C in a double boiler. 3) When both are at 70°C, add the Phase B to the Phase A little by little while mixing with an immersion mixer. Pay attention to not add any air bubbles. You will get a liquid hot white cream. Don’t panic, it has to be liquid and it will thicken while it cools down. 4) Once it is cooled down, measure the Phase C and the Phase D.
5) Since in the Phase D there is Q10 and Q10 has a “egg yolk” color, the color of the cream will be light yellow. This cream feels very light on the skin and I feel nourished! This looks like a good face cream. Thanks for the recipe, I will try it out this weekend. Hope I can make it work. And I am not sure I understood the question. please how i can make aleo vera gel .can i add SH and vet.E D-panth. 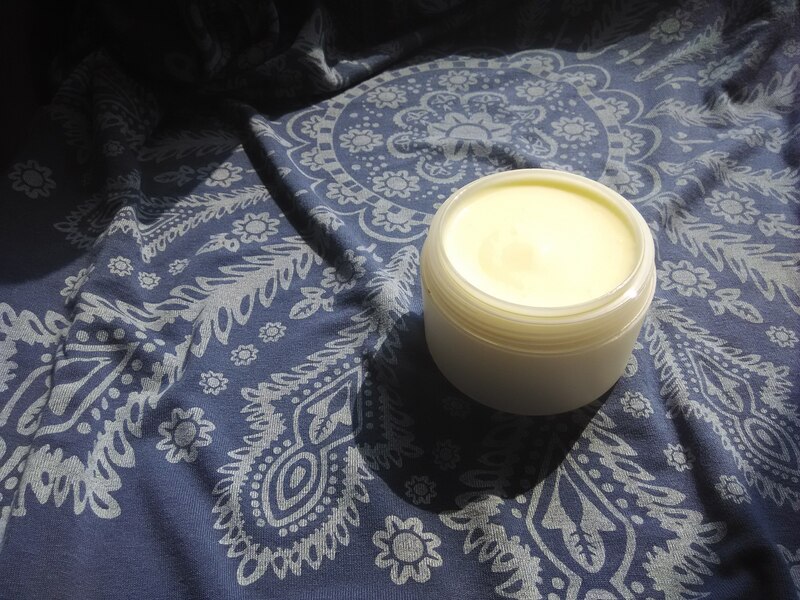 I have a post about making aloe vera gel, a post about making SH gel and a post about making a serum with SH, vitamin E and D-panthenol. You could simply add the 1:200 aloe vera powder to it. And what exactly do you want to know? In theory I think you can add them, but you have to check by making a sample batch. However I don’t think sodium polyacrilate is a good emulsifier, at least I wouldn’t leave it alone as it doesn’t seem to be stable. The question about the rose water is vague. What about polyacrylate crosspolymer? Whats your take on it? So you mean something totally different: do you want to add rose fragrance oil to water and need to solubilize the oil? Well this cream doesn’t have anything specific to whiten the face. It is just a multivitamin cream which might help a little improve the complexion. Whitening is a very advanced formulation and you need a proper laboratory to use the ingredients or the cream becomes black. You could, however, add 2% arbutin, but it can still cause issues. Am not from Asia, am from African, Nigeria to be precise. Here in my country ladies want to be white. How do I go about it?. I told you: arbutin is an ingredient you could use but a very effective formulation needs to be done from an experienced formulator and it also requires a specific equipment. What of if I add Hydrating Elixir Serum into my base cream, what can it give? Can it whitening face. No that is very hydrating and moisturizing but that’s it. For whitening you need a very specific formulation and ingredients! You probably also would want to add a strong SPF filtering system, which is another really technical and advanced subject in formulation. Where to buy multivit Nanosome? Just broke incapsulated and measure 2 g? You don’t need to break any capsule since the nanosomes are really small capsules that help delivering the ingredients. That’s all. Thanks a lot for your respond. No, this is NOT a cosmetic ingredient! You need to purchase cosmetic ingredients from a specific reseller.